What are the best replacement bands for Fitbit Charge 2? 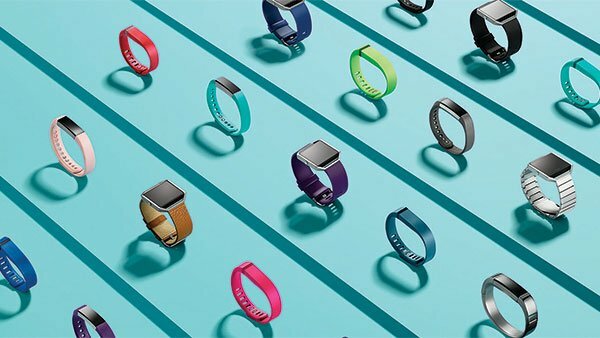 Updated March 2017 with new Fitbit Charge 2 band options! We all know how awesome the Fitbit Charge 2 is, but the bands can be pretty underwhelming — depending on your taste and sense of style. There are a number of super creative alternatives out there, though, that can really make a statement. Here are some favorites! If you’re looking for a replacement band with minimal, simply yet stylish feel, then check out the Fitbit Charge 2 classic fitness replacement band from HUMENN. While the band bares a striking resemblance to the original Fitbit band, the HUMENN band comes made with a durable elastomer material and surgical-grade stainless steel buckles. You can easily adjust the tracker band to fit your wrist, and if you’re not thrilled with the product, there’s a 30-day money back guarantee. The HUMENN band comes in a number of colors, including black, blue, blush brown, gray, plum, pink, orange, teal, and white. You can even pick up all the colors in a value-pack, or pick up certain packs of three and four with different color combos. Leather is always a smart fashion-forward choice for accessories, outfits, you name it – so it’s no doubt that this highly rated leather band from byite is a solid option to consider for your Fitbit Charge 2! Designed with genuine leather, the bayite band pairs perfectly with your Charge 2. The buckle is made with stainless steel for a secure clasp, while the band comes with a 1-year warranty incase anything happens. If you’re a fan of the bling and are looking to class up your Fitbit Charge 2 with a little extra glitz n’ glam, then take a peek at the beauty that is the Gold Swirl Scroll Charge 2 Bracelet from Etsy! Handmade, gold-plated spacers with ornate detail instantly turns your Charge 2 into a top-of-the-line piece of jewelry. If you’re someone who isn’t a big fan of wearing tech on your wrist, and you prefer the most classic jewelry look, the Gold Swirl Scroll will probably be your BFF. If you’re not a fan of the gold, then we recommend checking out the rest of the FabFitBracelets Etsy shops for some silver and bronze alternatives! Classic, elegant, and perfect for day-to-day use, the Wearlizer Milanese Loop Replacement adjusts to effortlessly fit around your wrist while pairing precisely with your Fitbit Charge 2. The Wearlizer is made with a flexible stainless steel mesh material, and because of the lack of clasp, it’s very easy to adjust and make the band comfortable. If you’re not thrilled with the quality of the band – although it has a nearly 5-star rating on Amazon – then you can return the Charge 2 replacement without any hassle. The Wearlizer comes in five different, classic colors, including black, gold, rose gold, pink gold, and silver. Keep things simple and timeless with the bayite bayite Replacement Stainless Steel band for your Fitbit Charge 2 that looks and feels like a standard wristwatch band. Designed with a high-quality, durable stainless steel, the bayite band can be easily adjusted to fit wrists of almost any size. With the double-button clasp and butterfly enclosure, you won’t have to worry about your tracker ever sliding off of your wrist either! You can pick from four different colors, including silver, black, gold, and rose gold. If you’re someone who likes a bit of a sportier looking watch band that also functions as a fantastically breathable workout buddy, then we recommend taking a look at the reasonably-priced AK Fitbit Charge 2 Band. Designed with a soft, bendable silicone, and adjustable enough to fit wrists of almost any size, the AK Fitbit Charge 2 Band is not only functional, but fashionable. The buckle is stainless steel and the band itself is 100% waterproof, making it the ideal accessory for working out and building up a sweat! The band comes in six different, vibrant colors, including pink and black, blue and black, green and black, gray and black, red and black, and white and black – and with the AK Fitbit Charge 2 Band costing around $13, why not pick up one in every color? Is there a watch band on our list that sticks out to you? Or do you have the perfect replacement that you’ve been using non-stop? Let us know in the comments below!